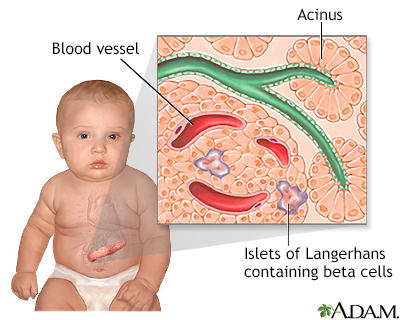 Islets of Langerhans contain beta cells and are located within the pancreas. Beta cells produce insulin. Insulin is the main hormone in the body that regulates glucose.